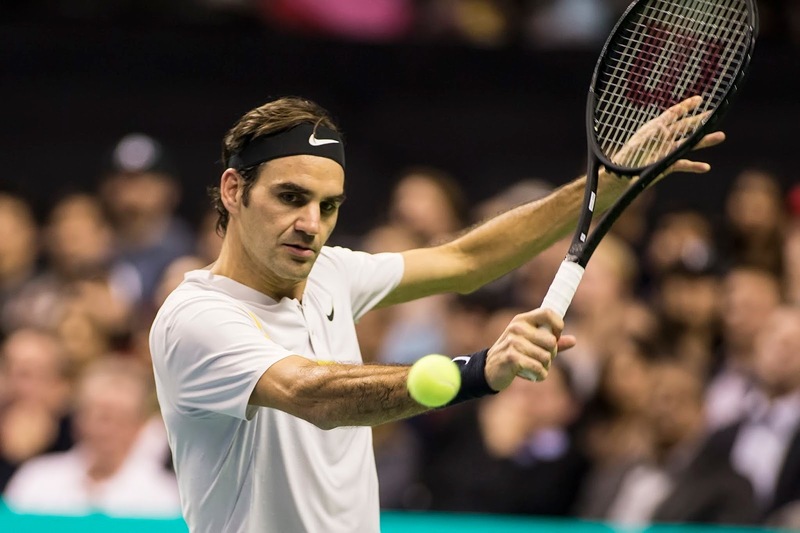 Roger Federer avenged a loss to Kevin Anderson at Wimbledon, defeating the 6-foot-8 (2.03-meter) South African 6-4, 6-3 today in the Nitto ATP Finals in London. Both the second-seeded Federer, who made his Northern California debut in a March exhibition in San Jose, and the fourth-seeded Anderson, a quarterfinalist in the now-defunct SAP Open in San Jose in 2012, finished 2-1 in Group Lleyton Hewitt to reach Saturday's semifinals. Sixth-seeded Dominic Thiem and seventh-seeded Kei Nishikori were eliminated with 1-2 records. Federer, who has won a record six titles in the ATP Finals, advanced to the semis for the 15th time. Anderson, who rallied from two sets down and saved a match point to stun Federer in the Wimbledon quarterfinals in July, became the first South African to move into the semis of the elite tournament since it began in 1970. Federer will face the second-place finisher in Group Guga Kuerten, and Anderson will meet the group winner. In Friday's round-robin finales, third-seeded Alexander Zverev (1-1) is scheduled to meet eighth-seeded John Isner (0-2) not before 6 a.m. PST, and top-seeded Novak Djokovic (2-0) will play fifth-seeded Marin Cilic (1-1) not before noon. In a doubles round-robin finale, fifth-seeded Mike Bryan (Stanford, 1997-98) and Jack Sock (2-0) will meet eighth-seeded Pierre-Hugues Herbert and Nicolas Mahut (1-1) not before 9:45 a.m.
Tennis Channel will televise all four of Friday's matches live beginning at 4 a.m.